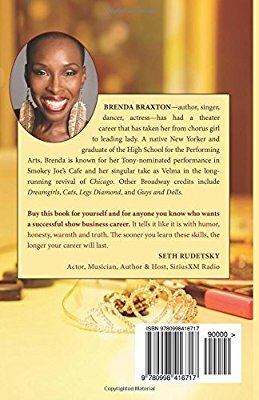 In "The Little Black Book of Backstage Etiquette," Brenda Braxton dispenses advice about how performers should act backstage. "IF a project is due at noon, have it ready at 11:30 if possible." "Don't be afraid to admit what you don't know and ask questions." "Once again, gratitude goes a long way. A smile and a “please” and “thank you” should not be a thing of the past." You want a successful career in the theater, or show business in general. However, you take your behavioral cues from the divas of reality TV. To be a star, you believe that you should be a brat. Your sense of entitlement is colossal. You, my friend, are on an express train toward Nobodyville, that is unless you get your hands on a copy of Brenda Braxton's "The Little Black Book of Backstage Etiquette." And heed the aforementioned wisdom and more (common sense stuff, actually) as if your career depends on it, which it does. The Broadway star, who got her break in 1976 when she was cast in "Guys and Dolls," will help you reset your manners meter. Good manners, she says, work best for you backstage just as they do in life. She should know. A poster of Brenda Braxton as Velma in "Chicago." BB has gone on to star in such shows as the long-running Broadway musical, "Chicago," in which she played Velma as well as a member of the chorus. Her work in "Smokey Joe's Cafe garnered her a Best Actress Tony nomination. The New York native has also choreographed for several productions of "Dreamgirls." "You just never know when the question might come up, 'Can someone stand in for so-and-so?' " "You'll be able to raise your hand and say, 'I know those lines',"that is, if you've learned those lines. 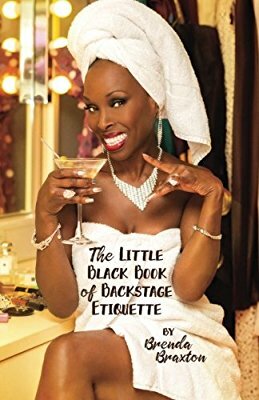 "The Little Black Book of Backstage Etiquette" grew out of backstage conversations over the years between BB and young performers seeking advice about longevity in the industry. Visit https:/www.brendabraxton.com/new-books/ to learn more about "The Little Black Book of Backstage Etiquette," including purchase information. The book is also available on Amazon.